Compressed sensing (CS) is the theory of the recovery of signals that are sampled below the Nyquist sampling rate. We propose a spectral analysis framework for CS data that does not require full reconstruction for extracting frequency characteristics of signals by an appropriate basis matrix. The coefficients of a basis matrix already contain the spectral information for CS data, and the proposed framework directly utilizes them without completely restoring original data. We apply three basis matrices, i.e., DCT, DFT, and DWT, for sampling and reconstructing processes, subsequently estimating the attenuation coefficients to validate the proposed method. The estimation accuracy and precision, as well as the execution time, are compared using the reference phantom method (RPM). The experiment results show the effective extraction of spectral information from CS signals by the proposed framework, and the DCT basis matrix provides the most accurate results while minimizing estimation variances. The execution time is also reduced compared with that of the traditional approach, which completely reconstructs the original data. The proposed method provides accurate spectral analysis without full reconstruction. Since it effectively utilizes the data storage and reduces the processing time, it could be applied to small and portable ultrasound systems using the CS technique. This work was supported by the Korea Institute of Energy Technology Evaluation and Planning (KETEP); the Ministry of Trade, Industry & Energy (MOTIE) of the Republic of Korea (No. 20174010201620); the National Research Foundation of Korea through the Ministry of Education and Ministry of Science (NRF-2017R1D1A1B03034733); and research grant of Kwangwoon University. We declare that we have no conflicts of interest in connection with this paper. Liebgott H, Basarab A, Kouame D, et al. 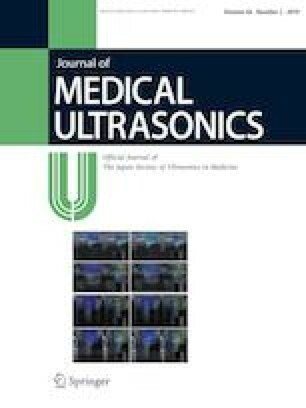 Compressive sensing in medical ultrasound. Proc IEEE Ultrason Symp. https://doi.org/10.1109/ULTSYM.2012.0486.